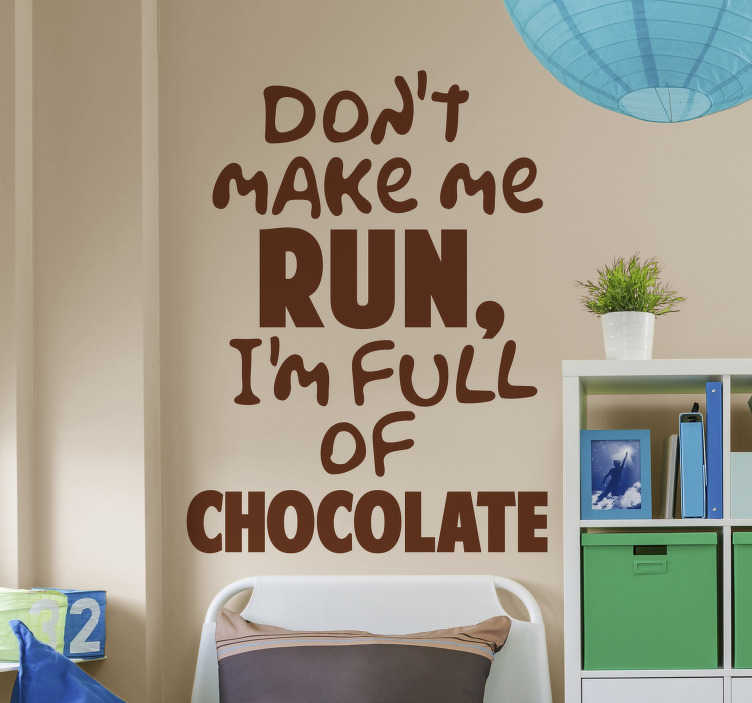 ´Don´t Make me run, I´m full of chocolate!´ Isn´t that just the story of everybody´s life? Well, yes, it is, which is why this fantastic wall text sticker is absolutely perfect for you! A fantastic home decal for those who are looking for something humorous and unique with which to decorate their home!